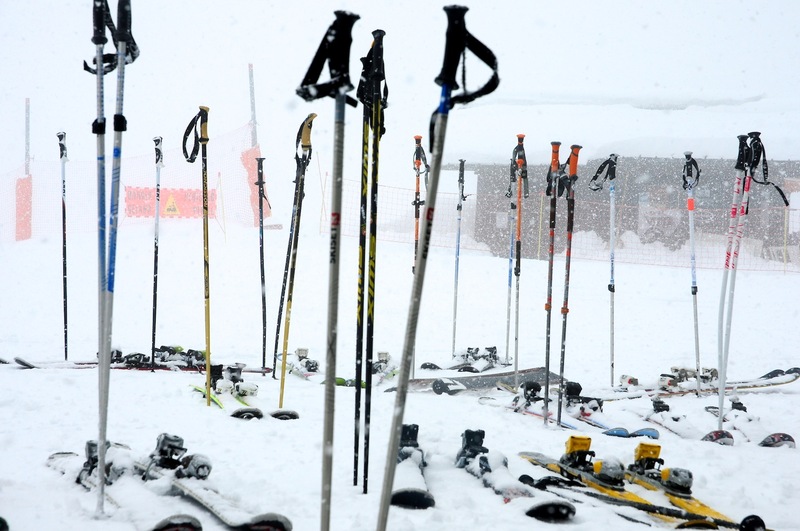 Snowy Photos: March 28th - April 1st, 2013: Chamonix. 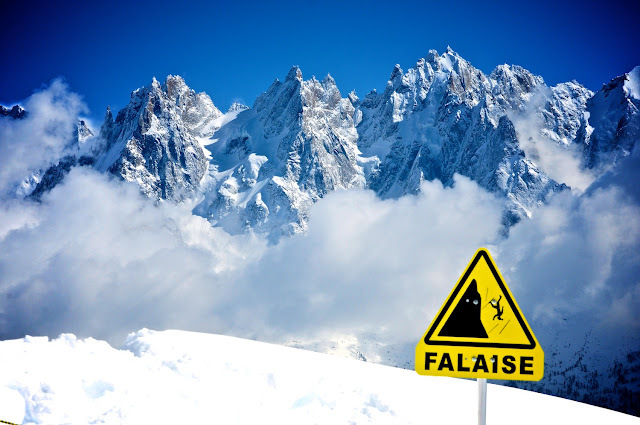 CHAMONIX! March 28th - April 1st, 2013: Chamonix. CHAMONIX! Jonny: "Um, wanna come to cham???? Seriously! March 26/27 - April 1"
Me: "Why you gotta mess with me like this? You know I want to..."
Jonny: "Buckle down dude, we'd love to have you out there." Me: "Not sure what just happened... UA 940 Chicago, IL to Frankfurt, Germany... LH 1216 Frankfurt, Germany to Geneva, Switzerland..."
Jonny: "I'll fill you in in France!!" 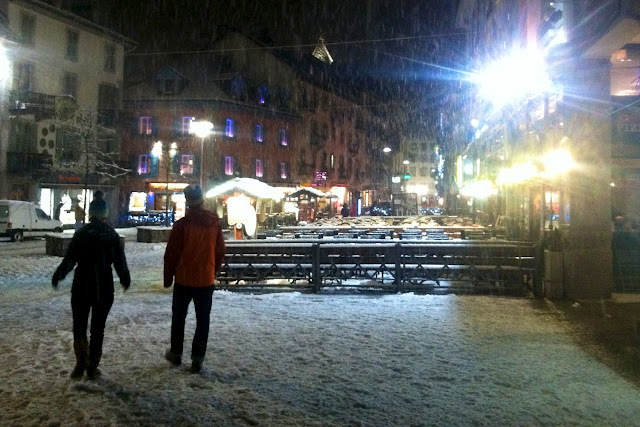 Two weeks after hatching the plan, we were walking the snowy streets of Chamonix, on the hunt for some dinner. The air was cold and the snow wet, which kept the streets fairly empty. We found our way into Le Bivouac thanks to Sara's expert use of TripAdvisor. The small restaurant was empty, save for the bartender/chef and waitress/hostess. 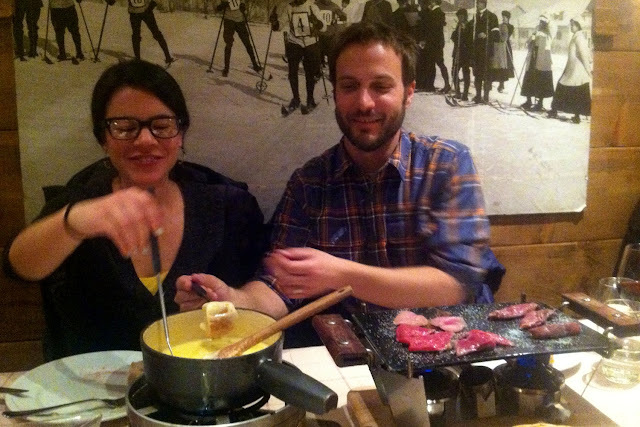 We rolled the dice and were overwhelmed with deliciousness, as we would for the remainder of our stay in Chamonix. 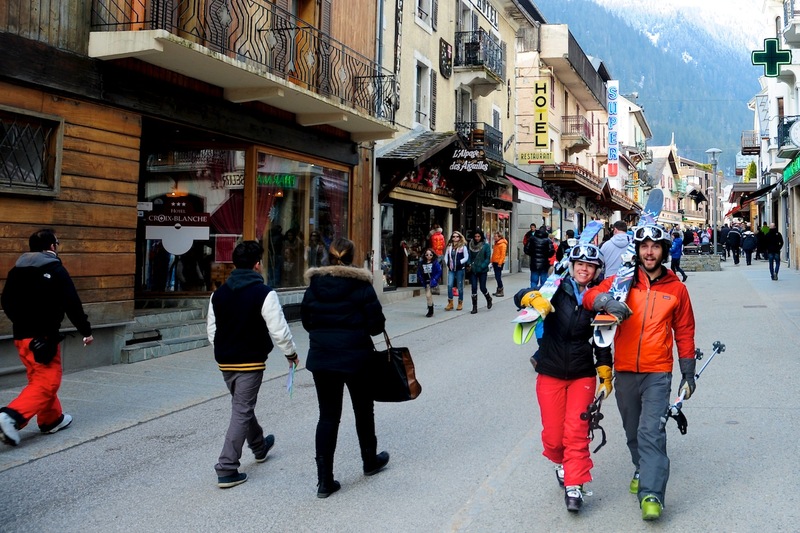 Chamonix is not quite like any ski resorts in the states. Partly because it isn't a resort. 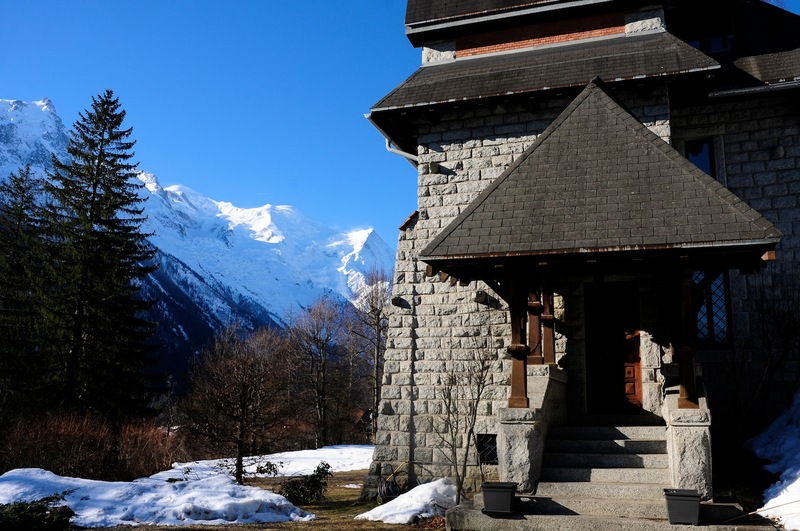 Chamonix is a city resting at the base of a valley of immeasurable peaks and numerous ski areas. This is one of many things I didn't know about Chamonix (there were more than 8). 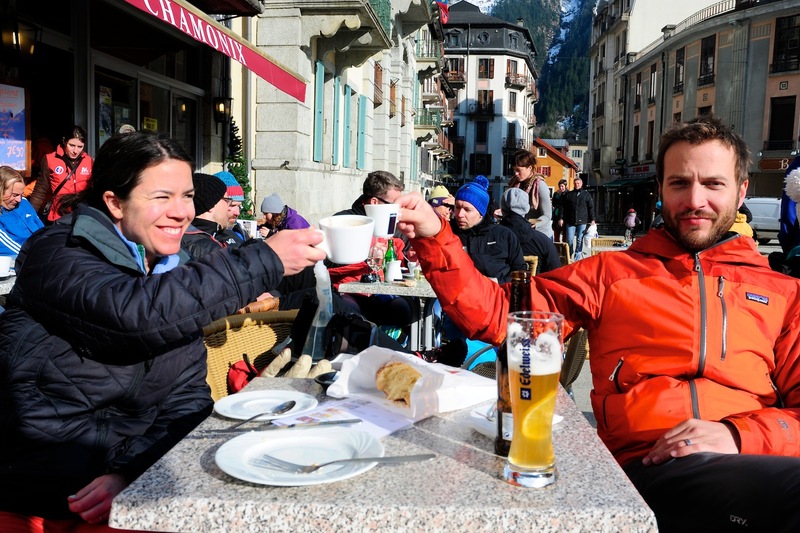 Jonny, Sara, and I weren't actually staying in Chamonix, but just up the valley in Les Praz. 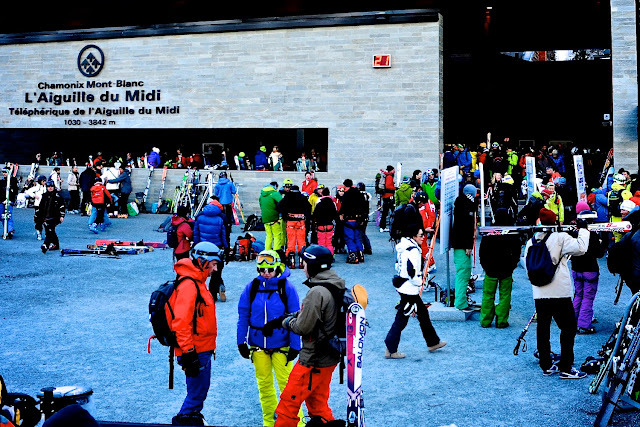 The nearest tram was at the base of La Flegere and proximity was the deciding factor. The snow don't stop. This was the best visibility of the day at La Flegere. We lasted two runs. Luckily there are frequent buses between the handful of ski areas in the valley. Grand Montets has a few more trees to cast shadows on even the foggiest of days, which we were experiencing for the second day in a row. We found a nice little niche of powdery trees and decided to lap it. And lap it. And lap it. Somewhere along the way, Adam, a fellow Americano, joined the crew. The four of us continued lapping our little corner of the alps, which Adam felt was rather similar to Tahoe's very own Kirkwood. 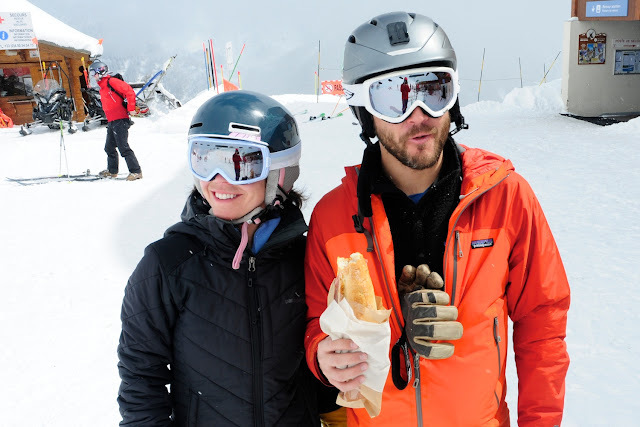 Maybe we didn't have to fly to Europe to ski the 'Wood, but we wouldn't have gotten such good snow in California this year and there'd be the issue of fondue to boot. Had it not been for the overall deliciousness of Chamonix, the lack of visibility might have been more bothersome. Then again, we really didn't know what we were missing. Then the clouds began to clear. Every little hole in the clouds revealed a steeper and more magnificent peak. Walls of snow and earth rose across the valley, but felt within arm's reach. Our crew stuck to the on-piste action, but the clear skies also revealed wide swaths of pristine treeless slopes being harvested by those with the proper backcountry gear and local know-how. With a little more prep and intel, we would have had some incredible runs. Next time. Walking the streets of Chamonix with skis raises no eyebrows. Just like that, our fun was over. For now. We vowed that this would not be our last trip to Chamonix, and hope to return sooner than later. Hopefully for longer and with a little more advanced planning. But I'd take another three days anytime! Local monastery? Nope. A converted three-flat that we called home for our stay. L'Aiguille du Midi. This is something else. Base camp for skiing 20 km of glaciers. One of the coolest and craziest ski scenes I've ever witnessed. Guided groups of adults. Families with young children. All in harnesses. A deli counter for trams. And what would we do differently next time? 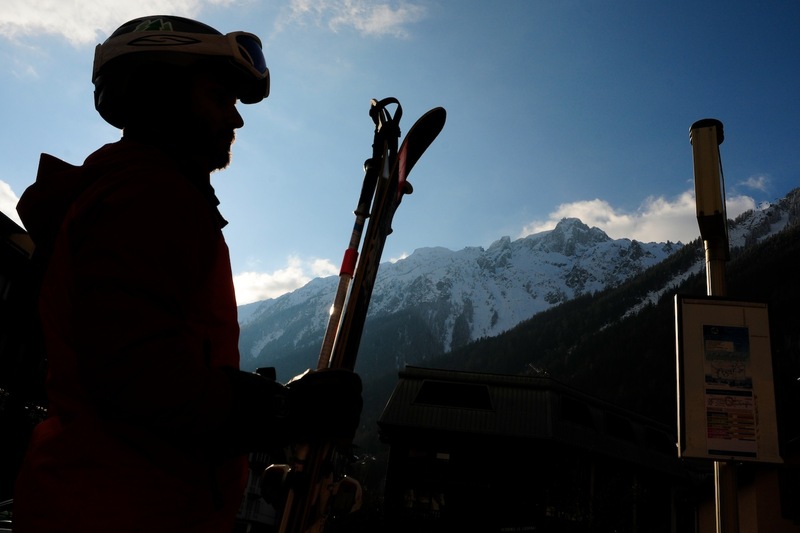 1) Book shuttles from Geneva airport to Chamonix in advance to avoid sitting in the airport for four hours, itching to get to the mountains. We used ChamExpress and AlpyBus. 2) Bring backcountry gear, just in case. When the snow got deep, many parts of the ski areas were left open, but with signs that indicated they had not been completely bombed. This was particularly true at Brevent, which is the main area directly above Chamonix. 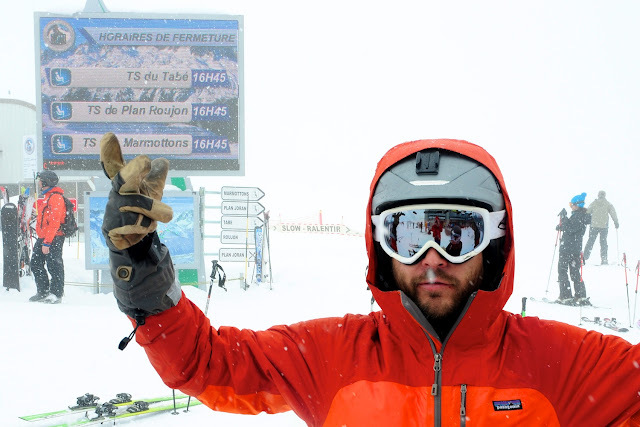 Getting a guide and heading for the real backcountry would also be rad. 3) Come for a week. If not more. 4) Wake up earlier each day. Admittedly, we took our sweet time in the mornings. It didn't help that daylight savings did a sneak attack on Easter morning. 5) Maybe rent a car. 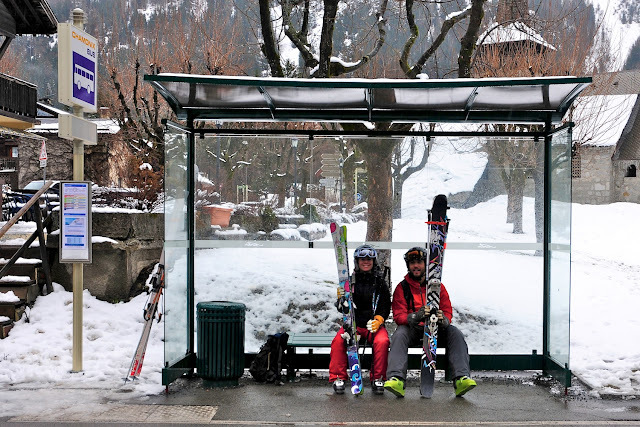 You really don't need a car in the valley, but if you want more flexibility getting to and from Chamonix, or to visit other areas of France/Switzerland/Italy, a car would be the way to go. 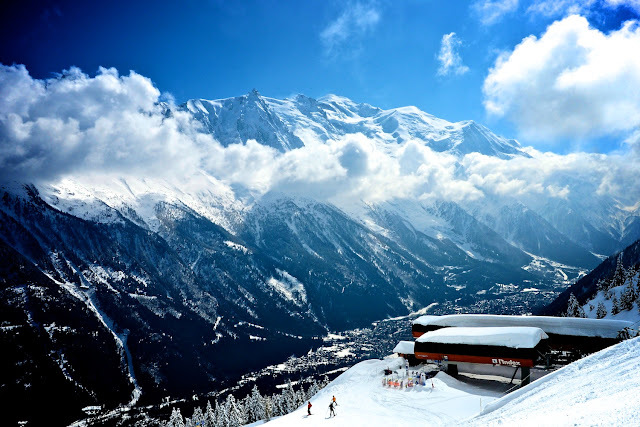 Or if you wanted to save flight time (and maybe airfare), fly in and out of Paris and rent a car to go back and forth to Chamonix. 6) This one is really just for me... Visit the brothers in Italy. I was bummed to not make it down their way this time around, but will make sure I get to Jesi on the next trip! Awesome trip. Good work not letting responsibility cloud your judgement!